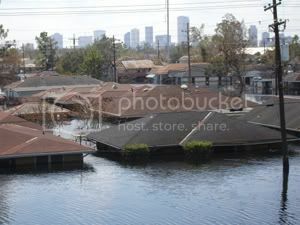 Skellywag: Hurricane Katrina: Why is the Red Cross not in New Orleans? The state Homeland Security Department had requested--and continues to request--that the American Red Cross not come back into New Orleans following the hurricane. I am so grossed out by the Katrina stuff: the reaction of Bush, I mean. It doesn't exactly surprise me that Bush is acting like this, but the SHEER INDOLENT THUGGISH TROGLODYTE GALL with which he ignored the poor/black in N.O. is sickening. I hope he and his cronies get typhoid and rabies and leprosy and spend their last days wretching their guts up and scratching their eyes out. The Media are being denied access to New Orleans. What does the US Govt have to hide? Thousands of bodies, is the sickening answer. ...an entire city destroyed by an incompetent leader who cut levee money so the richest could have a tax cut and then stayed on vacation instead of focusing on saving New Orleans. And since when have Combat Operations been classed as 'help'?